Before jumping into this you should make sure that you have at least read the the introduction to the What is a Hero? Then if you want move on to Link and Solid Snake. The opening paragraphs in those posts also flush out some other ideas so read them all really. I�m finally getting to the most famous videogame hero, and the guy I was planning to start with, Mario. It is very hard to write about Mario as a hero (or a character at all), I�m finding out, since he has so little back story in his games and the plots and gameplay never really lead to much character development for him, so when discussing what Mario teaches us about heroism it sounds a lot like pulling ideas out of nowhere, but I truly believe that as one of the most influential gaming characters and one that almost everyone grew up with Mario has helped define what a hero is for an entire generation, all without saying more than a few words. Want to sum up what Mario does in three words? Save the princess. It doesn�t get much simpler than that. There have been two variations on the norm in SMB2 where he had to save another world and Super Mario Land 2 where he has to save the world again and the games with more RPG elements don�t always feature princess rescuing either. Mario usually travels through a variety of worlds with different themes like ice, fire, water etc. and each one is broken down into different levels. There are a few basic facts you can discern about Mario. He�s Italian, he�s a plumber and he was either born in the Mushroom Kingdom (Yoshi�s Island 2) or came from New York (everything else). The games never give him much background as to his motivations for tirelessly trekking through level after level of bad guys and jumping challenges other than it�s the right thing to do and whoever his enemy is, usually Bowser, is evil�or at least not very nice. Mario consistently receives a kiss from whatever maiden he has rescued for all his hard work at the end of games and beyond announcing that it is indeed him, Mario, at the beginning of Mario 64 he rarely speaks. What Does He Teach Us About Heroism? That is what Mario would look like in real life, that or Bob Hoskins. That is what is so amazingly striking about Mario and his continued success as a hero. He doesn�t look like the norm for a hero at all, in fact he�s might be the opposite. In a society and medium that prizes the type of hero who is ruggedly handsome, cooler than cool and usually shoots first and never asks questions Mario is an enigma. He�s short, chubby, hairy and has a thick accent. His only discernable skills are plumbing and jumping high and he kills (though it�s more likely he only knocks them out) his enemies by bopping them on the head. Who does this guy think he is? Doesn�t sound like a hero in any way. Mario shows us that it doesn�t matter what you look like, what you do or who you are, you can be a hero in some way. If the call goes out all you have to do is stand up and try. Sure we can�t all go out and rescue a princess or defeat a giant lizard but Mario shows us that no matter who we are we can accomplish great things. It is a shame he doesn�t get more credit for being so boldly against the mold. 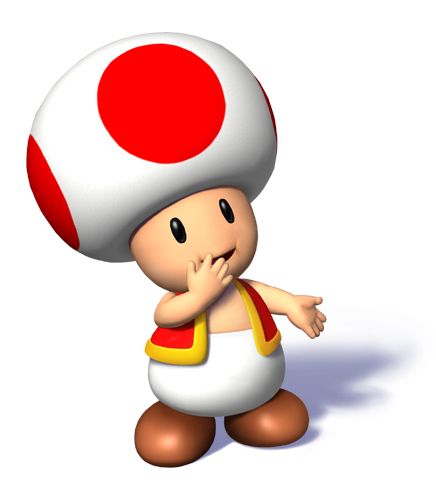 No one is going around pointing out that videogames most well known and influential hero is a friendly, peace loving plumber whose acts of violence border on school yard bullying and who protects his younger brother from harm, his friends from danger and total strangers from anything and everything by consistently risking his life. So if it isn�t his ability to bench press 500 pounds or empty rounds of bullets into his enemies that makes him a hero, and it isn�t his smooth talking and good looks, and it isn�t any of the host of other stereotypes that crop up in our minds when we think of heroes, what is it that makes Mario a hero? Seems to me it�s the dogged persistence to accomplish what is right and good, and although the Mushroom Kingdom is far more black and white in this area than reality his actions can still apply. Mario constantly pushes forward (both figuratively and literally). No matter how many times the �princess is in another castle� Mario never seems to give up. There are plenty of jokes made every time a Mario game comes out about how incompetent the Princess must be to keep on getting captured but she does and Mario just dives right in each time. We see in Mario a hero who just keeps going through anything that is thrown at him. He teaches us that there is a way around anything and most of the time that way happens to be not giving up. Maybe this is just my own personnel interpretation, since his character is so underdeveloped but I�ve always seen Mario as set upon by hundreds of daunting tasks and tackling every one without complaint or protest because he knows that he needs to. One wonders if behind that moustache and smile there�s some hidden resentment for always having to pull through every time. If there is Mario doesn�t show it and that�s part of what we learn about being a hero, that perseverance through trouble and doing good is more important than personnel gripes and complaints. Of course Mario doesn�t slam every heroism stereotype into the dirt. In fact he probably reaffirms one of the worst ones and he does it more than any other character. This stereotype being that men rescue women and women are absolutely helpless in the face of danger. In almost every game the princess (Peach or Daisy) sits waiting to be rescued in some fortress. 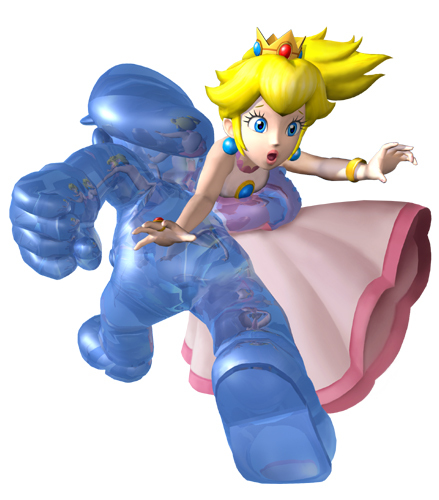 In more recent years Nintendo has shown a little more of a strong independent Peach and she did have a playable role in SMB2 but it is clear that in general Mario as the man must rescue the weaker woman. You can take these facts to teach two lessons about heroism, the first, is that Mario is reaffirming that heroism is a man�s job and women aren�t quite cut out for it, the second is that you should help those in need. I think there is a little bit of both in there. It�s highly insulting that the Princess seems incredibly helpless and totally useless but since Mario doesn�t fit into any of the other male hero tropes it�s hard to think of him as fulfilling some sort of dominant male role as a hero. The characters just aren�t fleshed out enough to really know and when they are Peach is shown as a strong, smart and independent woman despite the fact that she can�t seem to stop being kidnapped. Much like Link and Solid Snake (and, you know, almost every character in videogames), Mario goes on his adventures alone, but unlike the other two there always seems to be a sense that he is not entirely on his own. Of the three heroes I�ve done so far Mario gives the impression that you can�t just truck through on your own to be a hero, it requires help from friends more than any other thing, it�s a strong message especially in a game designed for one. Maybe it�s the fact that Luigi is usually around, or that Toad is helping out here or there, or that the worlds themselves are so vibrant and alive but you never get the sense in the many worlds of Mario that you are alone, that it is entirely your burden to see this through. Sure you�re the hero and you have to do battle but there are people cheering you on and pushing you forward. Heroism according to Mario isn�t a one man show even if it technically is a one man game. I think though the most important thing that Mario teaches us about heroes, and really all these other things add up to this, is that heroes are selfless. In fact it is the lack of character development and plot around him, the things that make discussing him as a hero so hard, which reaffirms this. The real message is that it doesn�t matter the story around the man, but that the man is doing something for the greater good and the only reason is because it is good. There is no inner turmoil over greed or if he is being a hero or not. No depth to the reasons for his actions, they just need to be done and he gets them done. Of course it�s much easier to justify these no question actions in the good vs. evil world of the Mushroom Kingdom but Mario shows that heroes are the ones who act for good without wanting anything in return except maybe a small kiss on the cheek and the possibility of a cake in the beginning of his next game.